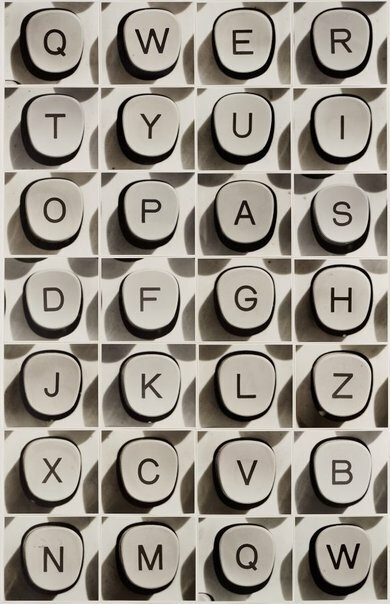 In ALPHA-BET, 28 black and white photographs of individual typewriter keys are arranged in a grid. All letters in the alphabet appear, with Q and W repeated. Dissociated from their neighbours, these letters present an open possibility. Any number of words and sentences could be generated from these constituent parts. By detailing the basic units of visual language, Thomas constructs a typology of text. A strict uniformity dictates the aesthetic conditions of each photograph. They have all been shot from the same angle with the same stark tonality. Only the shadows deviate, falling at slightly irregular inclines. 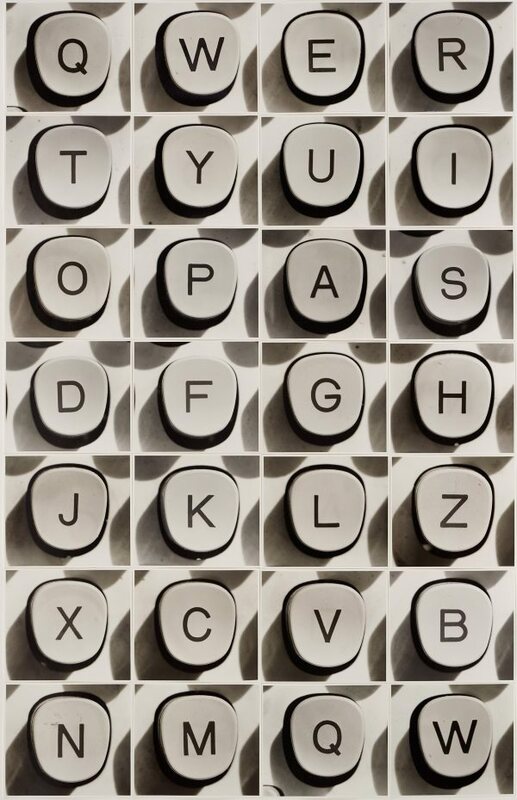 The arrangement of the photographs follows the order of the keys on a typewriter, moving from left to right, top to bottom. Repeating the first two letters at the end of the sequence, Thomas not only completes the grid, but introduces the suggestion of continuity. Language, like photography, is not a closed system but a malleable material.